That certainly looks juicy and beautiful colored. Is it the high temp that gives you such good results? Thanks FOODalogue. Yes, the high temp turns the melted butter brown. The key is high temp and melted butter…for some reason softened butter won't brown as well as melted. Just gorgeous. You might try salting for two days in fridge. It will be the most tender chicken you will eat and then just as you did at a high temp. I go as high as 450 in cast iron pan in oven. 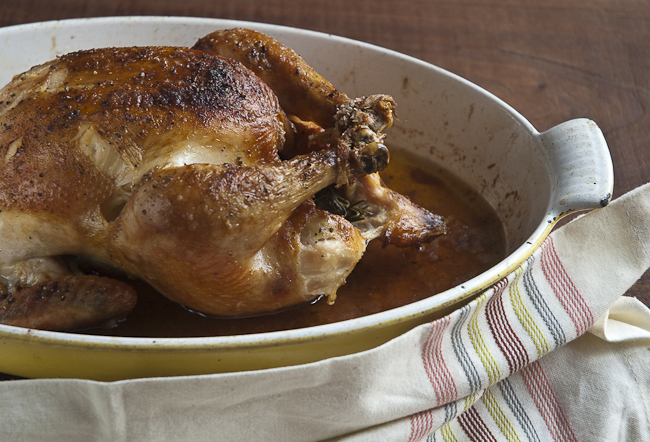 Lemon and thyme are two of my favorites for chicken. Yum! Your recipe reminds me of the mama's. She used to make a couple of roast chickens for me to bring back home to freeze. For the longest time, I thought she'd bought them at the market. They were so perfectly cooked and yummy. This one looks so perfect! Looks so delicious. This reminds me of the many Sunday lunch our family has made. Oh my goodness, I can smell it now!!!!!!!!!!!!! …and it's way too early for dinner. Sounds like a perfect Sunday dinner. Or any night actually! 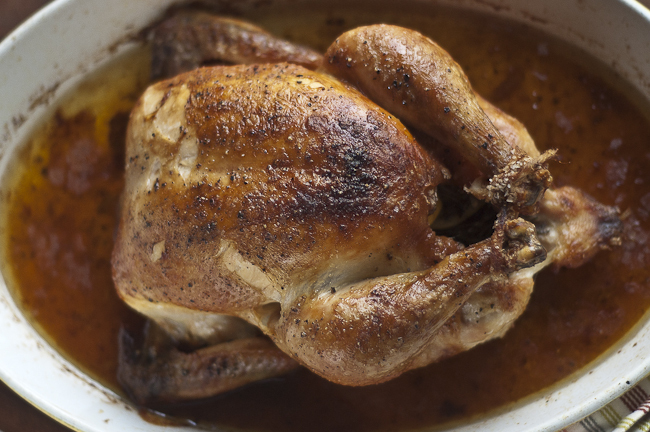 That looks like one gorgeous tasty chicken, that simple combination of rosemary, thyme and garlic makes for one delicious chicken. Thanks everyone! I made another one this last weekend and it was just as tasty! That chicken looks beautiful! 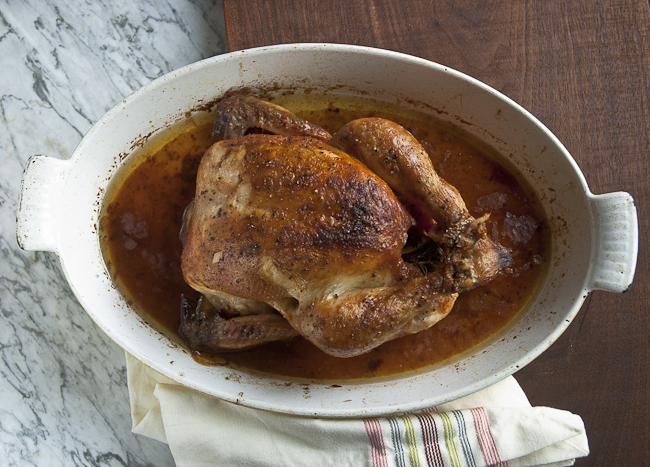 Love the crispy golden skin and the flavors put into this!